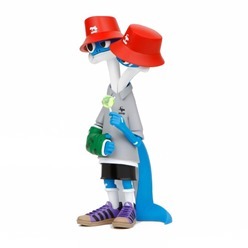 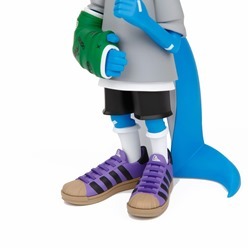 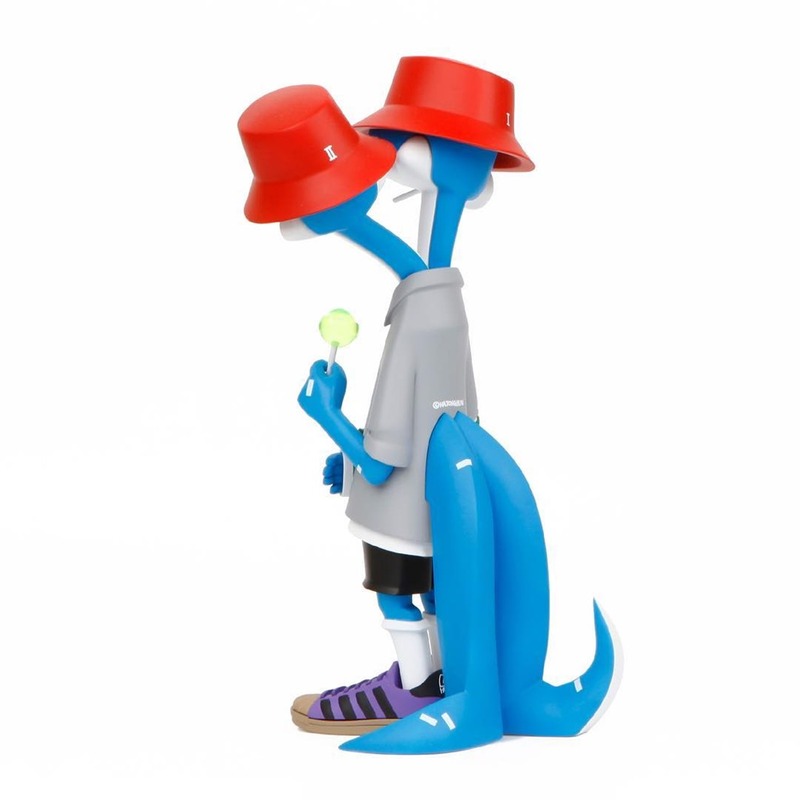 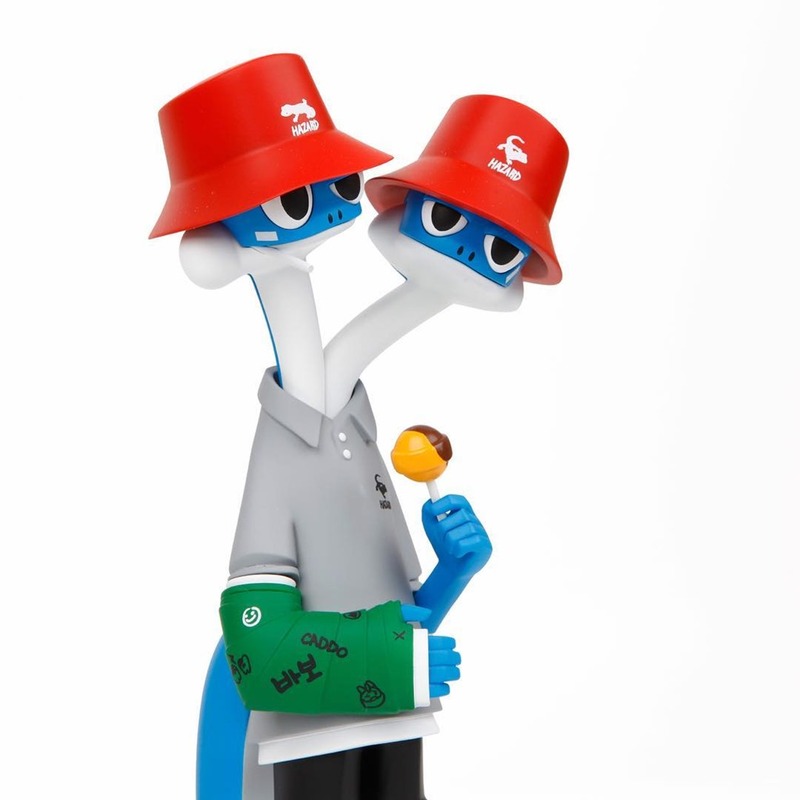 Jong Hun Ha's next release in his ongoing Hazard (Ha-Lizard) line is the two-headed (and tailed) Caddo. 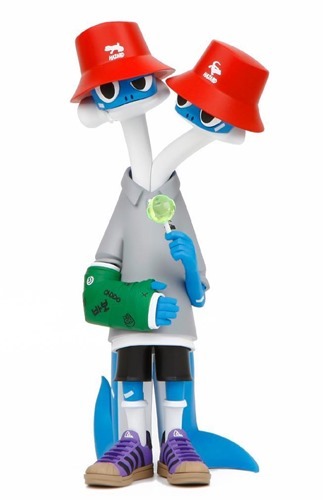 With an inquistive, playful vibe, Caddo's rockin' kangols, a scribbled-on cast, and a lollipop. As with all of the artist's releases, the sculpting and numerous details are on point. The Caddo resin figure (8", 20 pieces) is available for pre-order now for $360 from hifistore.com (outside of Korea) and the HIF Naver Store (within Korea). Please allow 1-2 months for production.